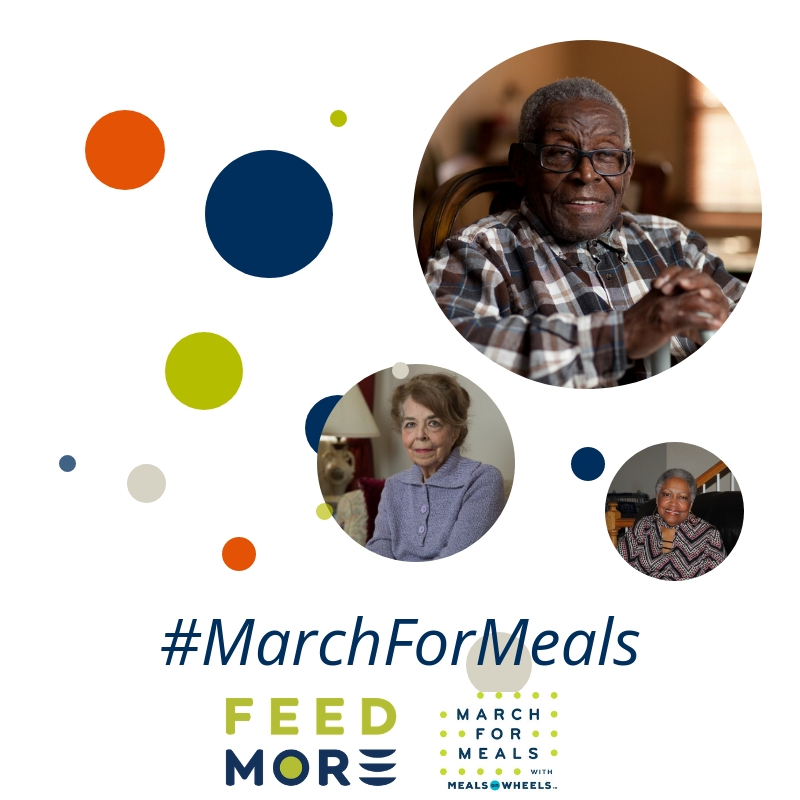 Feed More will once again be participating in the 17th annual March for Meals campaign! Organized by Meals on Wheels America, March for Meals is a nationwide celebration of Meal on Wheels and the positive impact it has on our senior neighbors. Throughout the month of March, we hope you’ll join us to help raise awareness for this amazing program and the people it serves. The 2019 Community Champions Week will be celebrated between Monday, March 18 and Friday, March 22. During this time, Feed More will invite local, state and federal officials, local celebrities and other prominent community figures to deliver our homemade, nutritious meals to homebound neighbors across our community, speak out for seniors and raise awareness for the power of their work. Keep an eye out on our Facebook, Twitter and Instagram for more about our Meals on Wheels program and how you can get involved in the fun that is March for Meals!